Sunderland played their final game of the season before a crowd of about 5,000 when Glasgow Northern were the visitors. Sunderland attacked at once and within 2 minutes Breconridge had opened the scoring and barely 2 minutes later Hannah had added a 2nd point. This brought the visitors to life and they got in a couple of well directed shots but Sunderland soon resumed the offensive and the Glasgow defence did well to keep them at bay. Splendid passing between Downes and Mitchell took them to the home end where Downes finished the move by firing the ball past Kirtley. Sunderland retaliated and for some minutes had the better of the exchanges culminating in a 3rd goal following a scrimmage. The 2nd half was fiercely contested and there was no scoring for 20 minutes until Scott ended a vigorous home attack by scoring their 4th goal. Nesbitt headed out a grand shot from Breconridge and then Breconridge put in the home sides 5th goal. The visitors rallied and attacked vigorously but the home defence was sound and after a hot tussle in front of the Glasgow posts Harvie scored the 6th goal. The season was now over and Sunderland were a Football League club. It had taken hard graft to get there but the club had finally made it. The summer however was upon the football club and The Echo continued to follow events as the club made preparations for September. Amongst the close season activities was an advert for a groundsman. The advert indicated that they were looking for a “married man without encumbrance” and all interested parties should write to Mr T Wallace of 24 Forster Street, Monkwearmouth. 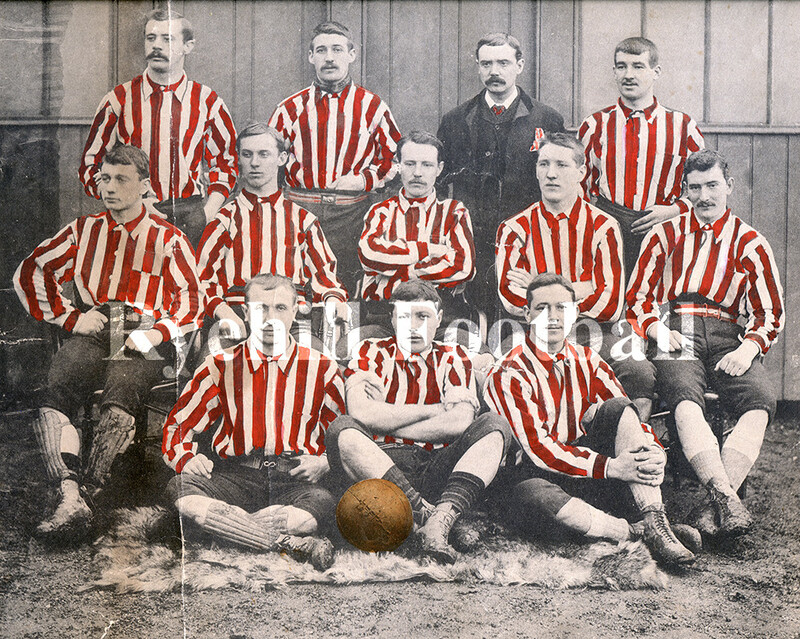 On 22 July 1890 the football club released its full fixture list. It included not only their league games but a plethora of friendly matches, including the season opener at home to Celtic (a game that would never take place). Indeed Scottish clubs were still heavily represented in the fixture list as well as other interesting games against the likes of Corinthians. Altogether 33 matches had been arranged so far, which included 22 league games. Incidentally, the first friendly match of the 1890/91 season was against Johnny Campbell’s old side Renton so technically it was they who provided our very first recorded match as a football league club. This time it was a 5 v 1 triumph. The 1890/91 season would soon be upon Sunderland AFC but for now this is where the non league story ended. The Football League beckoned Sunderland AFC.